1. 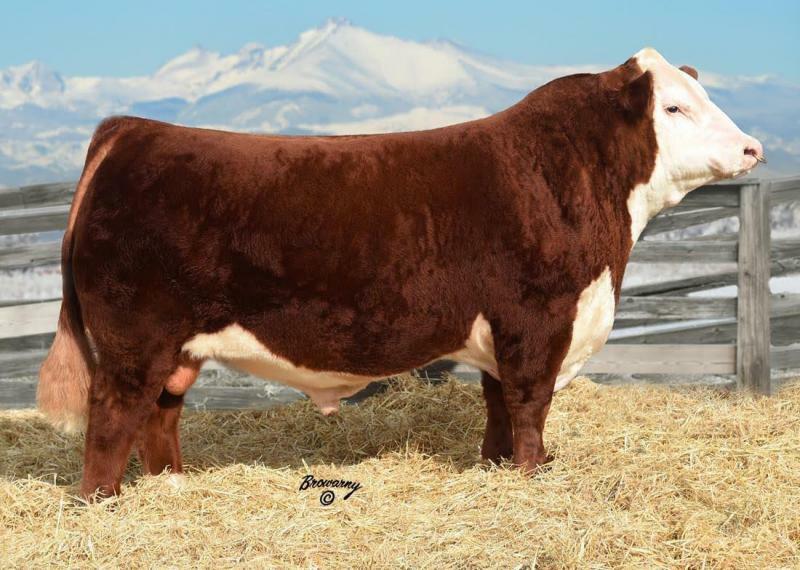 An outstanding individual in his calf crop, he was exhibited by Thomas Ranch at the NWSS where he caught the attention of cattlemen from across the U.S.
2. He stacks a pedigree of breed greats with Hometown, Time's A Wastin and Prospector. 3. He is moderate framed, square made, soft bodied with a sound foot and structure. 4. A calving ease potential adds to his balance of traits for performance, maternal and carcass merit.